Is HFpEF an Obesity Disease? By Mark Drazner, M.D., M.Sc. This year, the AHA Scientific Sessions changed to a three-day format, making for a whirlwind of activities in Chicago. Reflecting on this meeting, the following are my “Top 5” experiences from events I attended, or participated in, while at the Sessions. Dr. Capers, Dean of Admissions at the Ohio State College of Medicine, delivered the Laennec Clinician-Educator lecture. He noted that the lack of diversity among medical practitio­ners is a national emergency and urged for action now to remedy that with the re­frain “Just do it.” His speech, and the actions he has personally taken in this regard, were inspirational to all in the room. The AHA hosted its first Heart Failure Hackathon. The issue ad­dressed was, “Based on your real-world clinical experi­ence, provide ONE non-therapy (non-medicine)-related innovative solution to optimize care for patients associated with a heart failure hospitalization.” Attendees formed into teams of five and brainstormed for approximately one hour before pitching their idea to an esteemed panel of judges (I was fortunate to be one of the judges) in a strictly monitored one-minute time frame. 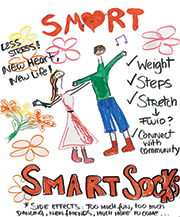 The winner, as shown in the photo, was “Smart Socks,” a sock that can sense weight changes, activity level as measured by number of steps, and increased edema of the feet by stretch­ing and allow connection with others in the heart failure community. The energy and excitement in this session was palpable, with the winning team members high-fiving each other upon announce­ment of their victory. This is just one example of the creative approaches (“gamification”) the AHA has taken to make its Scientific Sessions an engaging experience for attendees. From The New England Journal of Medicine, Velazquez, EJ et al., “Angiotensin–Neprilysin Inhibition in Acute Decompensated Heart Failure.” Nov. 11, 2018. 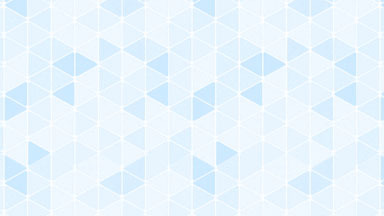 DOI: 10.1056/NEJMoa1812851. © 2018 Massachu¬setts Medical Society. Reprinted with permission from Massachusetts Medical Society. Dr. Eric Velazquez presented the PIONEER-HF study, which compared initiation of sacubitril-valsartan, an angiotensin receptor-neprilysin in­hibitor (ARNI), to that of enalapril in patients who were hospitalized with decompensated heart failure and had a left ventricular ejection fraction ≤40 percent. Those treated with ARNI had a significant reduction in time-averaged NT-proBNP levels when compared to subjects treated with enalapril (see below). Provocatively, while the trial was not powered for hard clinical endpoints, ARNI use also led to a significant reduction in heart failure rehospitalization. 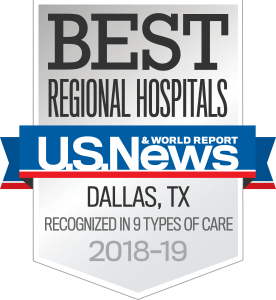 UT Southwestern was a clinical trial site in PIONEER-HF. 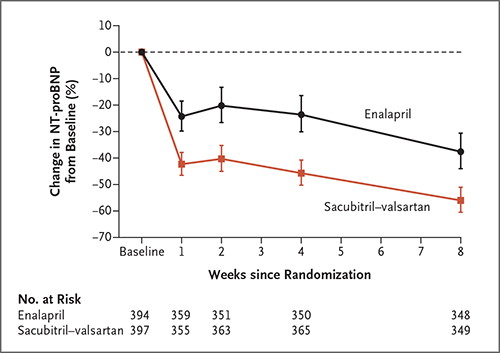 These data add to the observations from the landmark PARADIGM-HF trial by: 1) extending the use of sacubitril-valsartan to the inpatient setting; 2) suggesting that a run-in phase to demonstrate tolerability of full-dose ACE-inhibitors is not necessary before administration of ARNI therapy; and 3) provid­ing confirmatory evidence to the results seen in PARADIGM-HF. It is my suspicion that PIONEER-HF, though not a large phase 3 trial, might very well change clinical practice. The legendary Dr. Eugene Braunwald recounted an experience that contributed to his decision to investigate the natural history of aortic stenosis. Specifically, more than 50 years ago he was asked what would happen to a patient who had severe aortic stenosis yet was free of symptoms. He recognized that neither he, nor anyone else in the world, knew the answer to this fundamentally critical question, so he set out to answer it. This line of investigation culminated in his landmark 1968 publica­tion in Circulation in which he demonstrated that symptom-onset marks a downward inflection point in survival; this manuscript includes arguably one of the most recognizable Figures in all of cardiovascular medicine. Dr. Braunwald advised those in the room to keep our eyes open for such important clinical questions that arise about our patients. He noted that if physi­cians don’t stay alert for such observations they will “just float by.” Powerful advice from a giant in the field, and relevant to all who care for any patient in any discipline. Shown are eight of the 10 UT Southwestern Internal Medicine (IM) residents who presented their work at the AHA Scientific Sessions. This large complement of IM residents presenting at one of the premier cardiovascular meetings – if not the premier CV meeting – in the world is truly amazing. Further, it speaks to the high cali­ber of the trainees we are fortunate to work with at UT Southwestern. The future of cardiovascular medicine is bright!